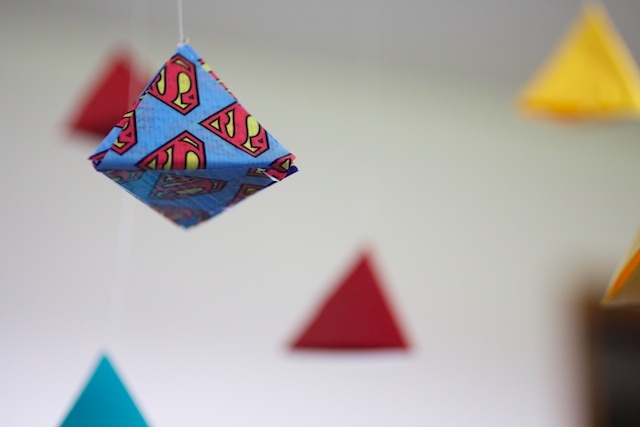 Super Hero Mobiles With Scotch Colors and Patterns Duct Tape! But this was really fun! 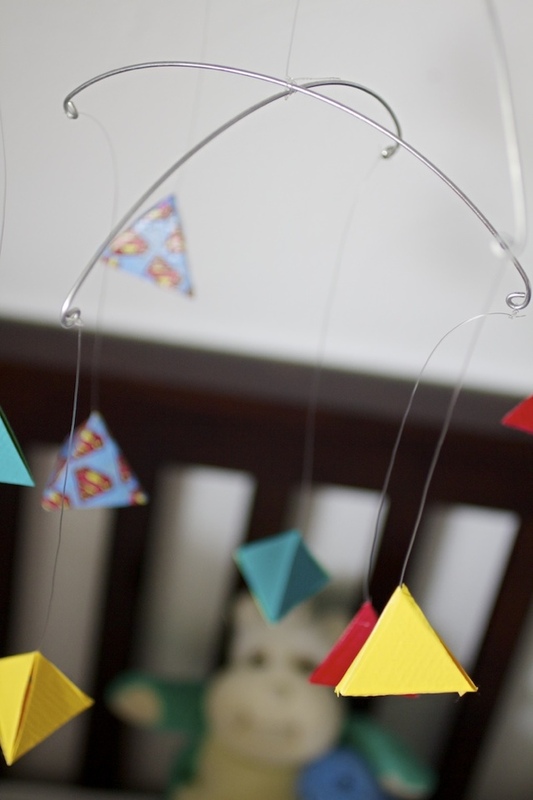 I ended up coming up with tons of ideas for things to make and one of them was a baby mobile. I didn't really have a specific plan for that one, but I thought it seemed like something that would work. And that's the one they chose! 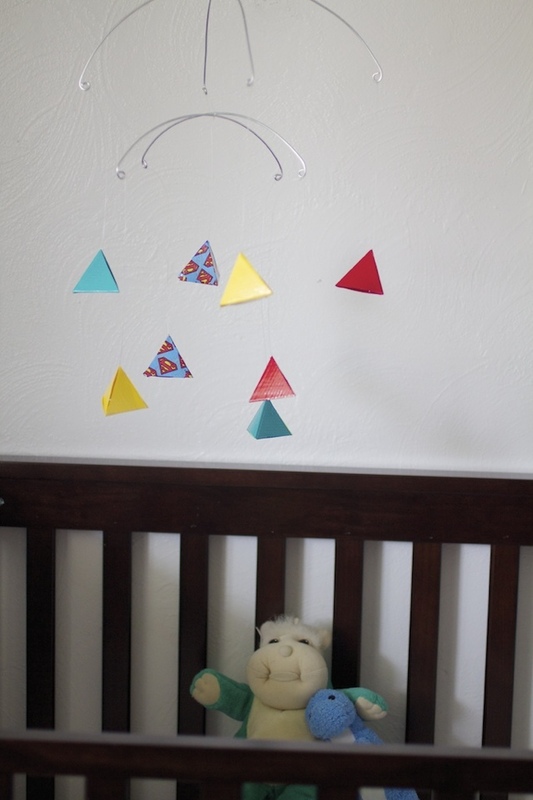 Then I got to choose the colors/patterns. I was like: "Let's see...pink?...maybe Barbie?...no. You know what? BATMAN!" Not my usual look, but it just felt right. 'Cause, Batman, you know? 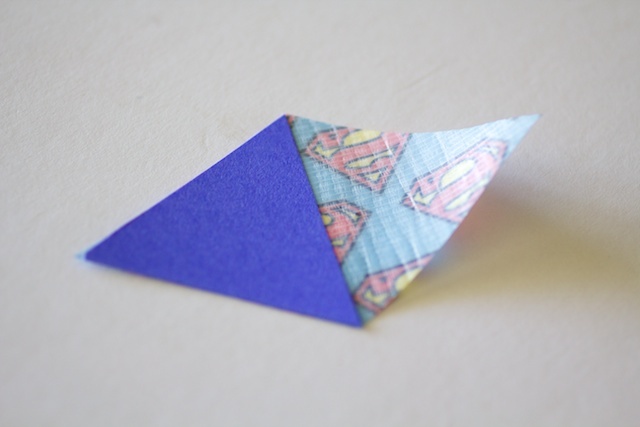 :) I tried just making flat geometric shapes at first, but it looked a little...2D. So last century, dude. So I decided on pyramids, which, I figured out how to do all by myself! 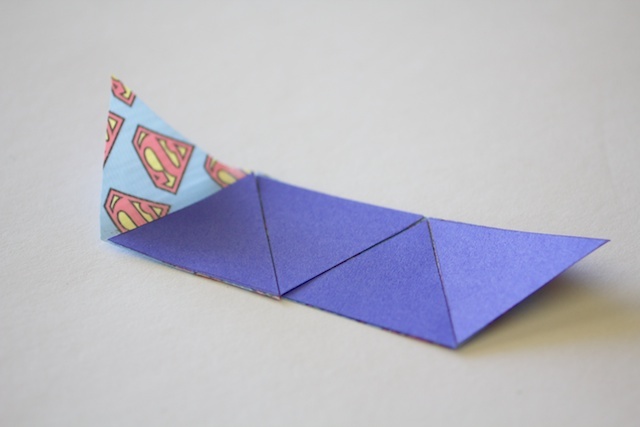 I'm not normally a geometry/origami person, so I was pretty proud of myself. 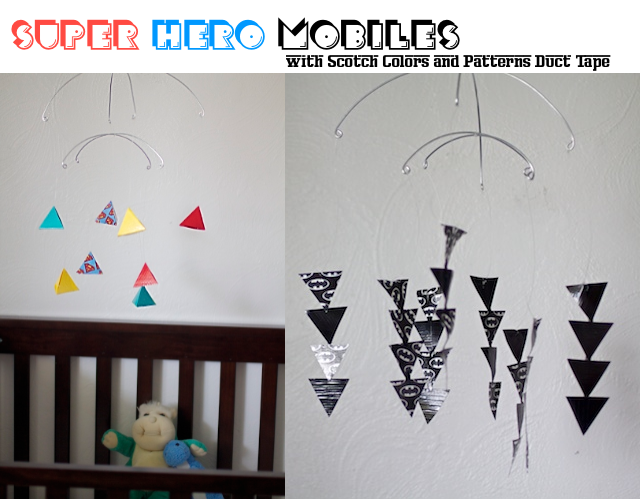 The first thing you'll need to do is create a top for your mobile to hang the pieces from. 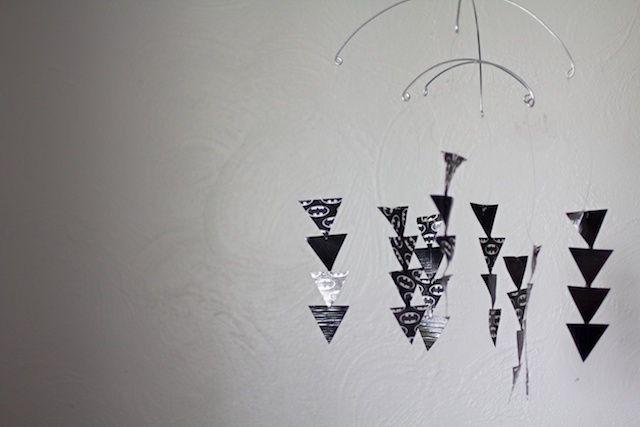 You can use a hanger, twigs from the back yard or pieces of doweling, but I chose to form simple metal pieces from 14 gauge wire, which you can pick up inexpensively from the hardware store. 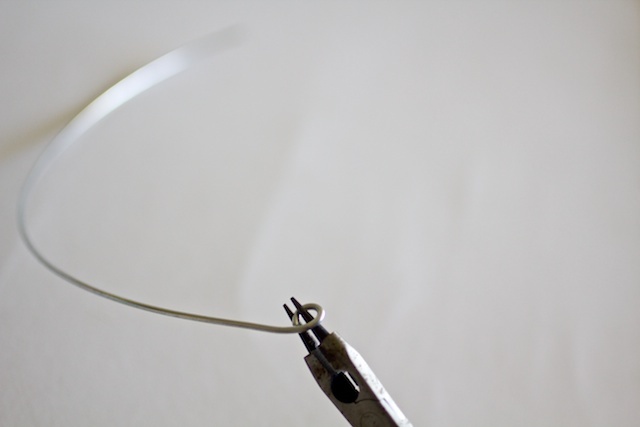 Use wire cutters to trim off two '' pieces and two '' pieces. 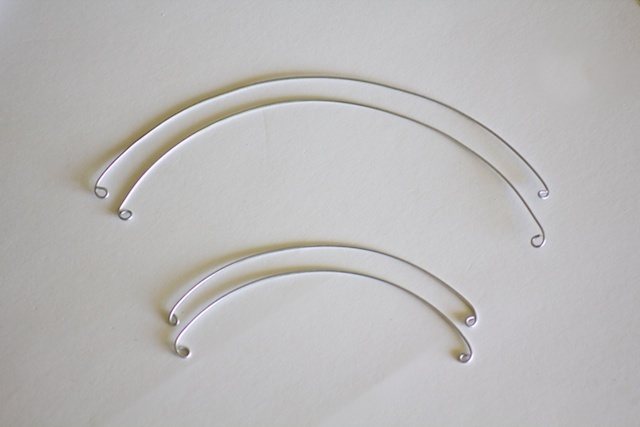 Then curl under the ends of each piece using needle nose pliers. 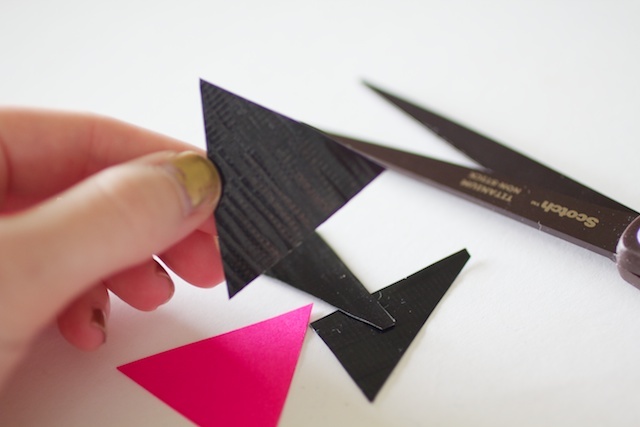 For each pyramid, cut four cardstock triangles that measure 1 3/4'' on each side. You'll need 32 total. 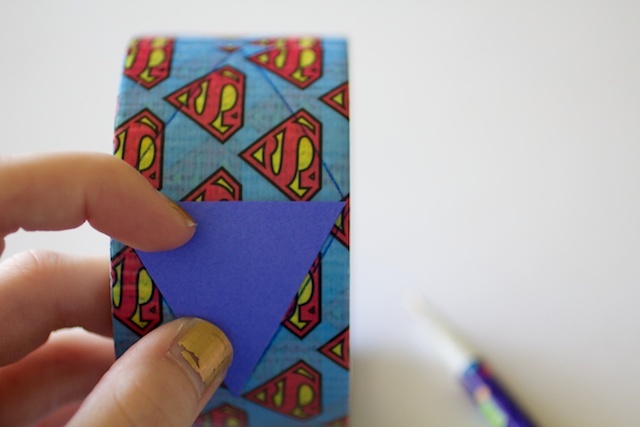 Draw a diamond shape onto your Scotch Colors and Patterns Duct Tape using one of your triangles as a template. 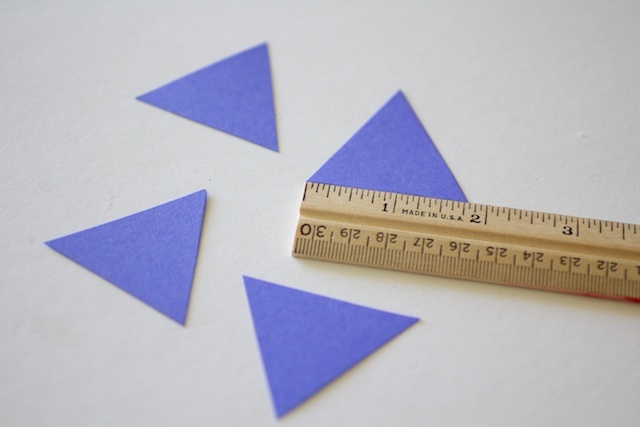 Cut one diamond for each triangle. 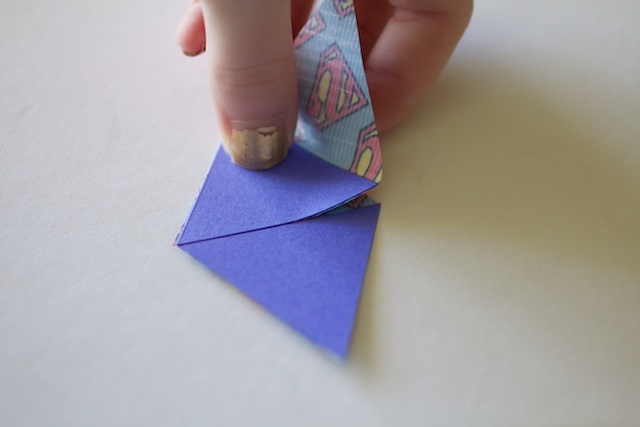 Place each cardstock triangle onto one half of the tape diamond. 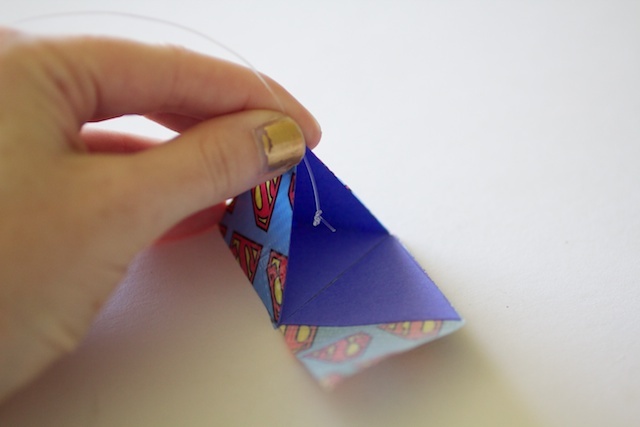 Fold up until you have a pyramid with one side open. 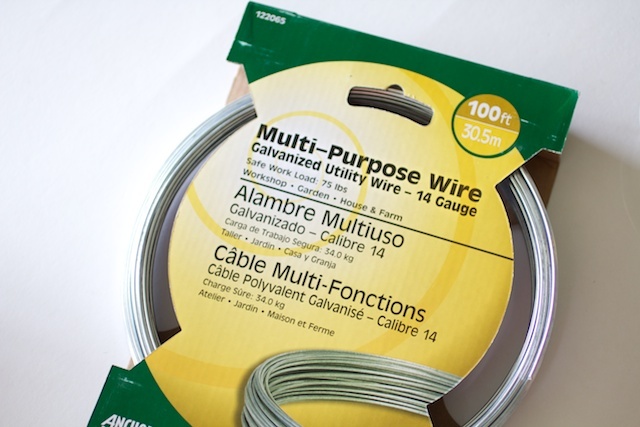 Place a 10'' piece of fishing twine with a knot on the end inside. Then close up the last section of the pyramid. 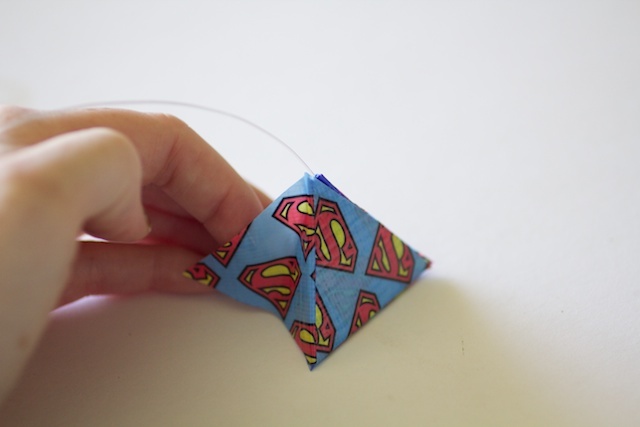 Pull out a strip of tape and fold back over itself, matching sides carefully. 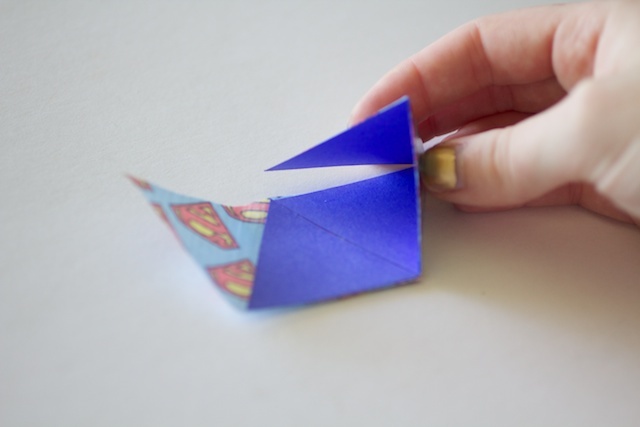 Then use a triangle template (same dimensions as Super Man's) to cut out 32 triangles in whichever colors and patterns you'd like. 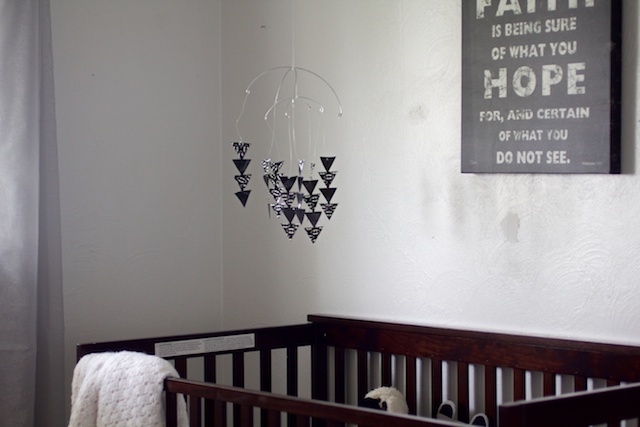 We chose Batman and plain black. 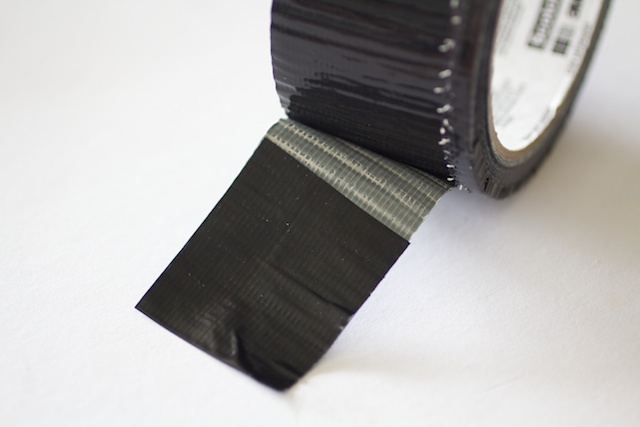 Connect them (pointing down) with a small strip of black tape. P.S. 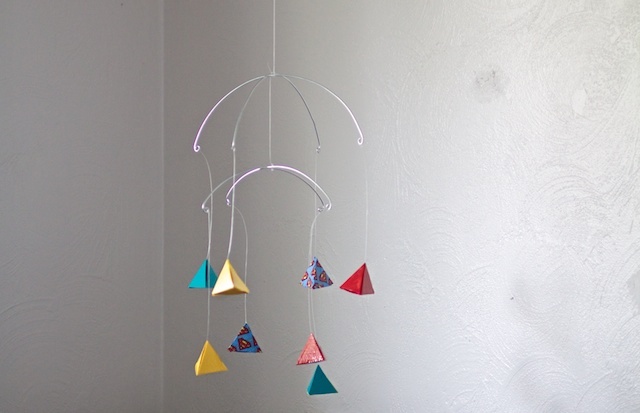 Check out Kelly at Studio DIY's awesome duct tape balloon stand. GORGEOUS post, and so colorful! She is the real DIY deal, friends. Love her. 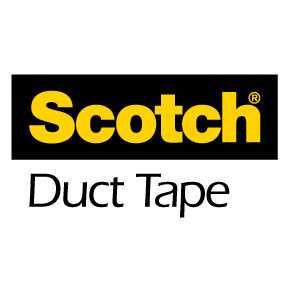 This post is a collaboration with Scotch Colors and Patterns Duct Tape. 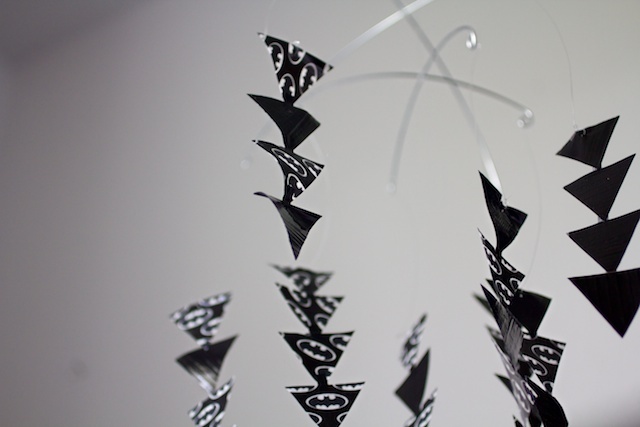 To see more creative projects, visit www.ScotchDuctTape.com. You can also find them on Facebook, Pinterest, Twitter and YouTube! 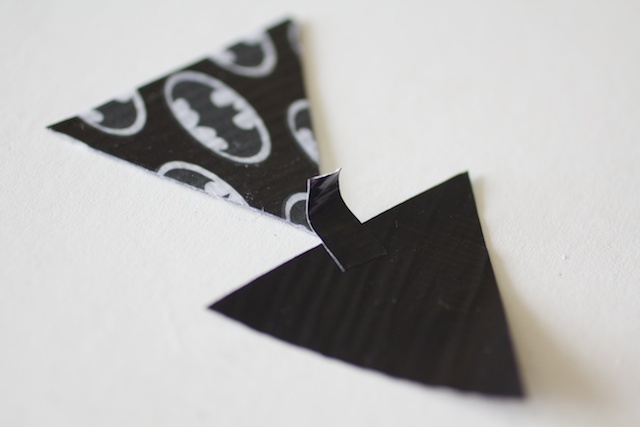 Holy duct tape Batman, that's awesome!! 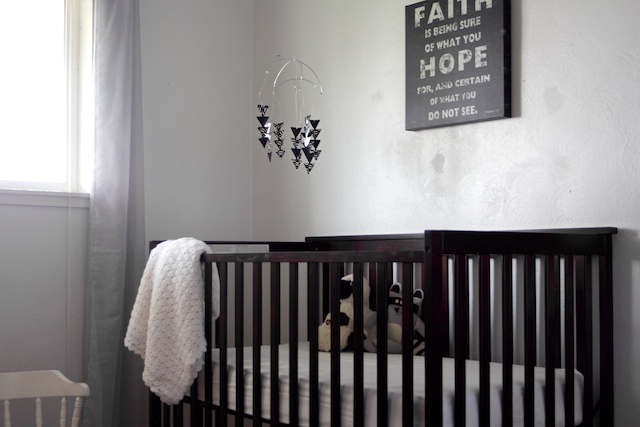 Love the black and white! Batman has always been a fave . . .
Love that you did batman. That's a very easy, and simple mobile. I really like that style! 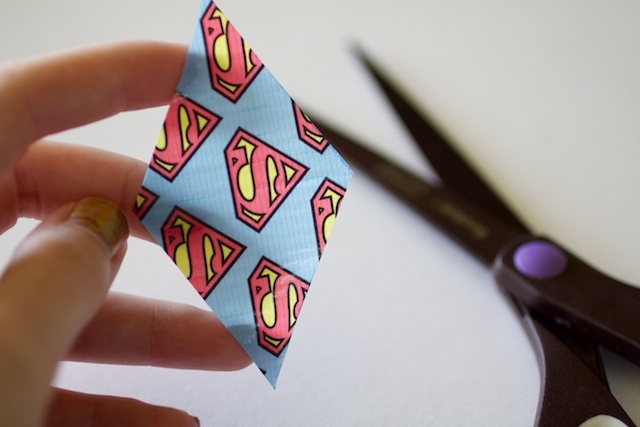 And how cool that it's with tape!